Language is classified as the ability to obtain and use patterns of communication, which is called linguistics. It’s used to inform a person how another person feels and that lets us not only understand but also question what we already know or don’t know. As far as language goes, English is spoken in nearly every other country and is spreading more, worldwide, as we speak. (Ha get it?). Learning an entirely different language broadens your horizons and also expands your overall knowledge of the world around you. For the past year, I have chosen to learn the Korean language, Hangul. I have for a while wanted to learn a new way of communicating and Hangul seemed to be a real challenge compared to Spanish, but also easy enough to understand. As I progressed from learning the alphabet to the pronunciation of words, I started to discover new things and fully understand different ones. I gradually took an interest in how different characters or symbols could represent the same things or how pronouncing a symbol in a certain octave could change the entire meaning of the word. And as I got further involved in the language, I started to become more interested in the culture. Learning about the language means nothing without understanding the culture because this allows a person to comprehend the overall language. This also gives people a wide range to express our desires to people on the other side of the world. Language can be wonderful and also tactful when used the right way and it’s even better when used in acts of love. It’s fun and interesting learning from another person’s perspective from around the world and making new friends along the way. It’s one of the best feelings in the world. The most important thing about learning a different language is to have a positive outlook. The first steps to learning any skill can be overwhelmingly stressful. You have to be able to encourage yourself to keep going and keep working towards your goal. Having positive thoughts will not only help you learn faster but will also reduce the stress that comes along with learning. The most important part is that you get a solid foundation, and I don’t mean makeup. You’ll need to learn the basics before you can move onto anything else. If you master the basics, then you’ll be able to go further throughout your learning experience. There is no shame in going back and revisiting your basics for extra help. Everyone has to start somewhere and there’s no shame in repetition. There’s no need to worry about mistakes as long as you learn from them. To speed up practice, you could also read comic books and watch shows set in the language you’re trying to learn. I recommend watching foreign movies. This way, you can gradually go from watching with English subtitles to repeating after the reader. This is also essential if you choose to learn the language by yourself. The only efficient way to get the dialect and pronunciation down is by listening to a native speaker. Being able to read and write a language is different from actually understanding the language. Hopefully, if you have to money to do so, you could travel to the country you’re trying to affiliate yourself with. That way you’ll be surrounded by the culture and be forced to communicate with others. This may take you out of your comfort zone but this the only way you’ll be able to learn. Language is a matter that touches many American cultures. Cultures thrive on their languages and customs to define the people they are. After the first few phrases, you’ll find it hard to stop and want to communicate all the time in this language. People need to realize how much of an impact a foreign language has upon someone and how life-changing it can be. English is spoken and understood by most countries around the world. 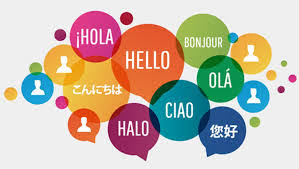 It is one of the most important means of communication in many countries today, actually.However, learning a new foreign language would also help others that don’t understand. This doubles as an advantage since you’ll not only be able to communicate to others in their language but you’ll also be able to translate from others who can’t communicate to others. As you can see, the number of benefits to learning a new language outweigh the cons. I hope with this information you’ll be able to start learning today.